Our original FF7 challenge was fun, but let’s make things more interesting this time! Staff writer Jeremy Rice emerges from the dark depths of work deadlines to finally reconnect with his Nintendo Switch. A handy stream archive in case you missed our sessions from this past week! Just wrapped up the SwitchRPG Final Fantasy VII Challenge, and here are my thoughts + gameplay! Here is a great spot for EXP, AP, and even Limit Break grinding in Final Fantasy VII once you have access to the Tiny Bronco! Here’s what Ben Thompson is playing this weekend. What are you playing? With Final Fantasy VII out on Switch today, now is a great time to remind everyone about the previously announced SwitchRPG Final Fantasy VII Challenge! Want to see how Final Fantasy VII fares on Switch? Check out this preview! 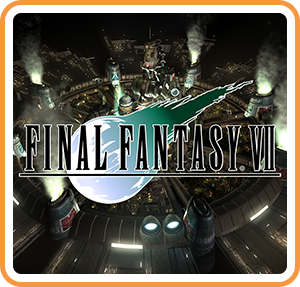 The Switch version of Final Fantasy VII, set to arrive on March 26, is now available for pre-order on the eShop for $15.99 USD. With rumblings of a Final Fantasy 7 shadow drop today at the Direct, here is a challenge to consider taking on whenever the epic JRPG arrives! Boss battle themes can often break the chains of fear sown by the opposition, getting the blood pumping for the inevitable showdown that comes alongside it.